The model is Nozomi Sasaki, she is a Japanese model actually. 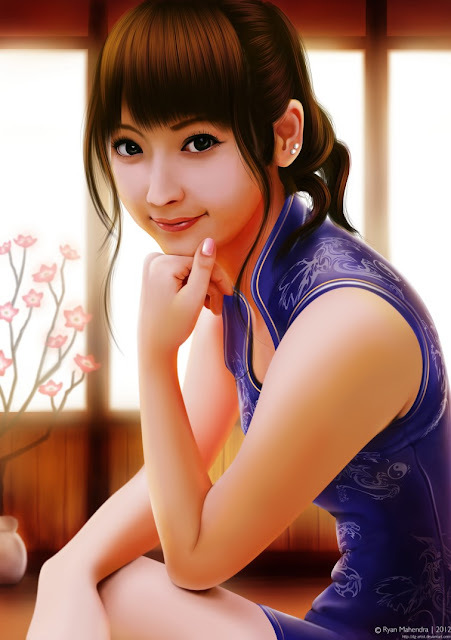 Here she wears CHEONGSAM, the chinese traditional costume for the women. I made a little changing for it by adding dragon ornaments.